most often hear when I ask people why they don’t get another animal, even after a long period since a beloved pet has passed on: they just don’t feel like they can deal with losing a pet again. Dealing with a pet’s death is usually our first unwanted introduction to death, often as a child, but that doesn’t mean it gets easier as we get older. To put it bluntly, our pets just don’t live long enough. I was also able to take some photos of my mum’s cat Louie on a trip back home to England; a beautiful white cat – even with him being ear-less, he still was handsome (he had lost his ears to skin cancer some years before). Yet I knew these would be the last photos I would take of him. After twenty years, his body was ready to shut down, and I could see that in his every move and his tired but still-magical eyes. I would watch him slowly make his way up and down the stairs, with much effort thanks to arthritis. He couldn’t see properly anymore; high blood pressure had made his retinas detach and caused blindness. And he couldn’t hear anymore either. Sometimes he would sit basking in the sun, looking happy as most cats do when doing just that, but he usually seemed restless, not knowing how to be comfortable. So I know there may be a few people out there who don’t understand the bonds that some of us have with our pets, our companion animals. I like to think they may just not have found the right animal buddy yet. Some might make you feel silly for making such a fuss over your pet and don’t understand the grief you can feel at the loss of a beloved animal friend. I believe life is precious, and most definitely the life of an animal that has loved you unconditionally and always been by your side. And yes, our animal friends never live as long as we wish they could…it can be really hard to say goodbye. As a photographer, I don’t want other people to let days with their pets slip by, especially the last ones. Too many people lose their pets and tell me they wish they had got professional photos done with them. They tell me they wish I had taken the photos; I wish I had too. I know we can’t always anticipate an animals’ passing, but we do know when they are living on borrowed time, when they’re old, getting grey whiskers around their noses, and when they’re ill. We don’t always want to face it either. Having worked in veterinary clinics (and in rescue work) I have helped treat and been around many frail, old and sick animals that need extra special care. I want you to know this because I do understand the delicate nature of photographing a sick or aged kitty or pup; I also know what you go through getting closer to their passing, and eventually, saying goodbye. I’ve also been there for many people as they’ve said their final farewells with their precious companions in their arms. You can put your trust in me when it comes to recording and honoring an important and sensitive time. I believe that our animals’ spirits stay with us when their bodies are gone, and this is something that comforts me. Their souls are so innocent, pure and loving, and we are so lucky we can have that in our lives. So many animals are never given the chance to be loved and then honored in this way, with a portrait and some images of their life, just to show how meaningful they were to someone. I hope I get to hear about or even meet your beloved friend and companion, and that I can be entrusted with commemorating any of their days. Let’s celebrate the life that they have lived! The life they lived was and is important. You can leave me any comments on this subject on this page, but you can also contact me with any questions about booking such a session if you are in the Seattle area over on this page here. If you do live close to me, maybe I can help commemorate your pet’s life with photos. But if you don’t, I really hope you consider finding a professional photographer who does similar ‘Borrowed Time’ sessions for your furry friend before they pass over the Rainbow Bridge. This is a special time, and I hope more people consider doing this. Photos don’t replace memories, but they are a way for us to freeze time and hold those special moments close. Thanks for reading; make sure to come on over to my page for more cat photography (and thank you for the awesome response to my last post about the Seattle Meowtropolitan Cafe). I can’t wait to hear from you again! 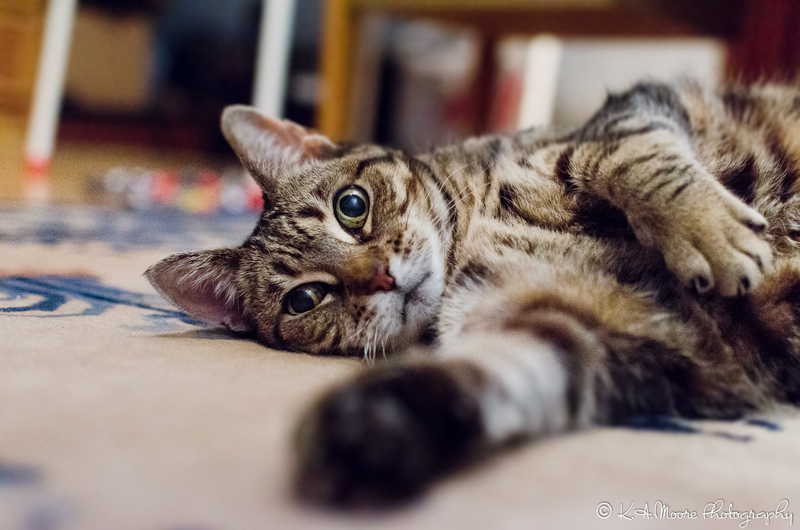 This entry was posted in Guest Cats and tagged cat, cat photography, cats, cute, pet loss, pet photographer, pet photography, pets, Seattle, Seattle cat photographer, Seattle pet photographer, Seattle-based photographer, ねこ, 猫. What a beautiful post! I had a little guy who passed away and I’m so glad that I have the photos that I do, to remember him by. His portrait is on the wall in our family room and he is surrounded by photos of his father and brother watching over him. Just yesterday, I wrote a post on my blog thekittycatclan.com talking about his story and pet bereavement. I would love it if you’d read Scout’s story…he was an amazing cat and a wonderful friend. Thanks for your post, it’s so important to remember our friends in a special way. Thank you for your kind words! I just read your post about Scout, and the journey you went through with him having intussusception, which must have been so hard to deal with, but I understand how in the end you had done all you could. It’s a long road we take with our pets and then we have to make these decisions seemingly so fast, but they’re the kindest things we can do. Scout died in your arms but I think that keeps your spirits forever close. I’m glad you have some photos of him; maybe think about getting some great ones done of your other babies. They’re so precious! Thank you so much for reading his story. I appreciate your kindness! Yes I definitely will have them done because it keeps them close by forever. Photography is such an important job and I admire those who capture these precious moments in time for us. Keep up the great work you do and I am such a fan of your blog? I have always loved photography, mostly because it helps me remember. You did a great job with those photographs. They are both happy and sad, now that I know the stories. Thank you! Photography is such a wonderful thing in that it can do many things, one being that it freezes time and preserves memories for us. When moments and people and animals are long gone, we have the gift of photography to hold it all close for long afterwards. I love it for that!! Thank you!! Louie was such a sweet boy! You’re welcome, and thank you! I’m glad you got to take ‘last’ photos of your cat. Priceless. After 10 years I still grieve the loss of one of my cats, Mouse. I can’t bear to get rid of his pictures or his collar. ? And I don’t think you should get rid of them! I still have my pictures and collars of my cats that have passed away, even though I know it’s not a literal attachment to them. But we have so few ‘things’ when it comes to belongings of our pets, and our photographs are our greatest physical signifiers that they were really here on this earth with us. It’s just never long enough…! Mr Midnight, from the blog “Gilmours Nice Place”, says that “daddy” is no good at photography so he´ll have to make do with the few pictures he has of him; but that doesn´t really matter because Mr Midnight (and Sir Winston) will always be locked in “daddy´s” soul. The three of us believe our souls will meet again anyway when it´s time to go (as they already have in many lives before) so “daddy´s” bad photographic artworks are not too important. Thank goodness others are better suited! With kind regards out of the Black Forest.